Who would you like to share a meal with? At 9:15 this morning I made myself a second breakfast for no other reason than that I was hungry. The smoothie I had blended two hours earlier had already left my stomach, and it didn’t matter that there was no one else in the house to cook for (unless you count the always eager dogs). Actually, it made the idea somehow more appealing. I had the freedom to make whatever I desired. Denise and Meadow Linn’s cookbook was already sitting on the counter, and instead of grabbing the fast-fix of an apple or hummus and multigrain chips, I flipped through the pages of the Mystic Cookbook. I stopped at “Super Hero Pancakes,” and began gathering ingredients. Instead of melting coconut oil in the microwave, I scooped it into the cast iron pan (as they suggested) and watched it infuse the air with the energy of the tropics. I squeezed fresh lemon into the almond milk and stirred the egg in a ramekin before I whisked the liquids together. For a brief moment I rued my lack of spice grinder to mill fresh wild rice flour, but told myself an equal amount of brown rice flour would do just fine. And, it did. Again I relished the alchemy of mixing, whisking this time the dry with the wet, until I was satisfied with the results. No need to worry about over doing it, everything was gluten-free. 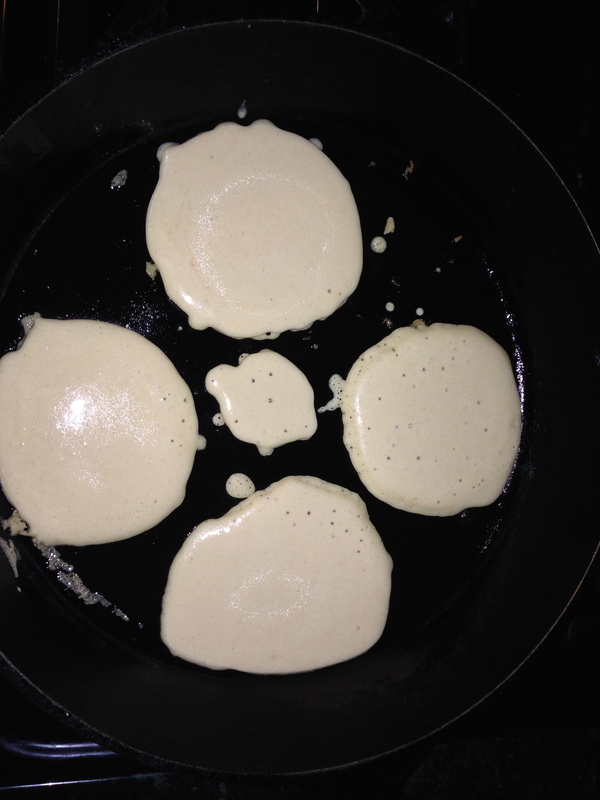 The cast iron sang when I poured circles of batter into its well-oiled surface. 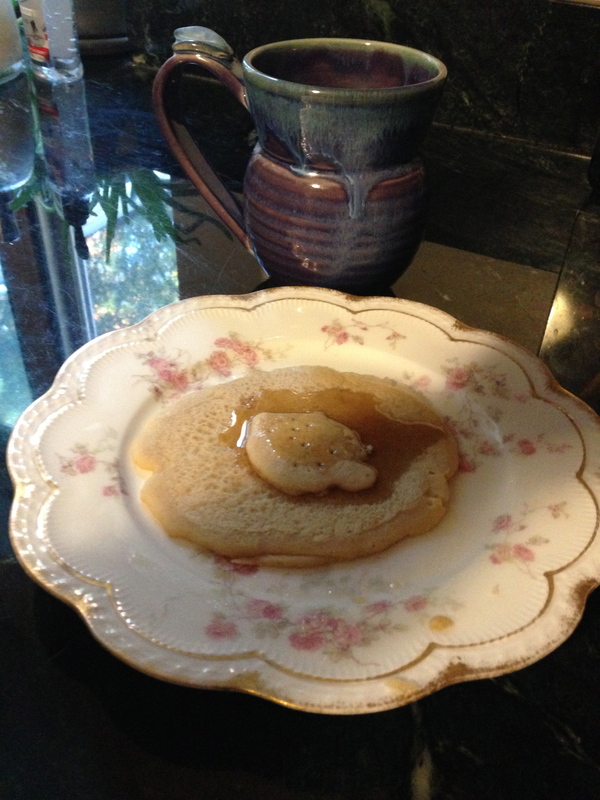 The creamy fluid spread, and I layered more on top, then watched as tiny bubbles surfaced from my pancakes. 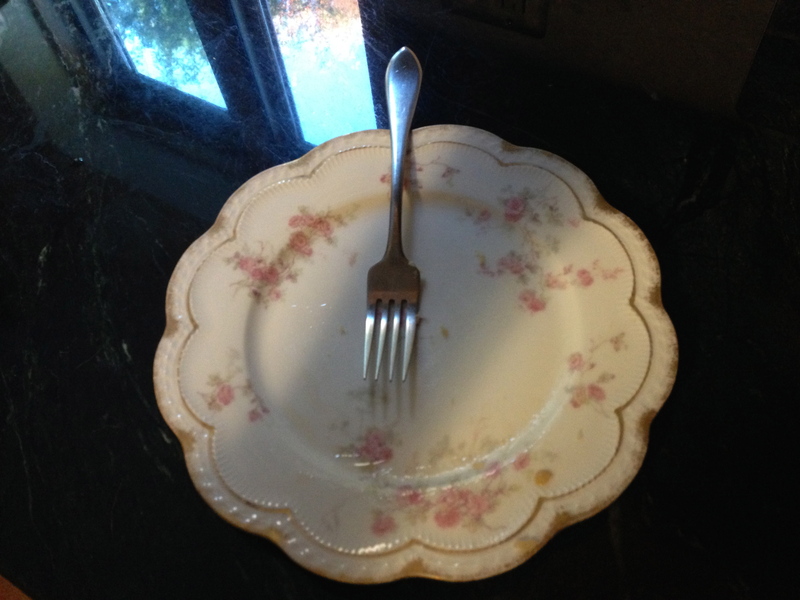 The second side always cooks faster, and I gathered my fork, one of my daughter’s fancy plates, maple syrup, and poured a mug of chamomile tea. I dined in perfect peace, savoring the meal I had created for myself, while thinking about who I would choose to share my meal with if presented with the choice. I thought about how most of the more conventionally popular choices didn’t interest me. I wanted to dine with Denise and Meadow Linn. Especially Denise. Don’t get me wrong, I think both mother and daughter are fabulous, and both share that unique energy of pure, humbled, yet strong spirit, but my soul craves the sacred mother-energy that Denise embodies. So, as I ate, I imagined the warmth of Denise’s beautiful soul filling the space of my home and blessing the food she had helped me to create with purpose, love and intention. I imagined the conversation we would share over our meal, and the joy that would infuse the space inside my home. And I smiled and ate my second breakfast. This entry was posted in Energy Healing, Memoir, Reflections and tagged denise linn, Meadow Linn, Super hero pancakes, the alchemy of food, the Mystic Cookbook. Bookmark the permalink.